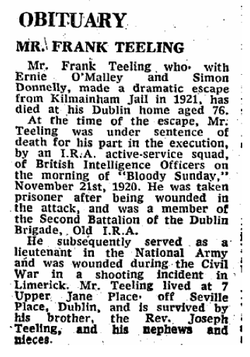 Frank Teeling's IRA activities are well documented online and in several books. 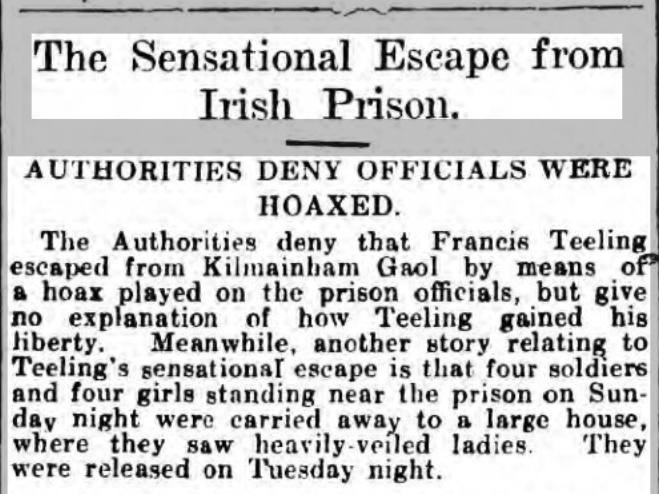 In particular a book named 'In the Front Gate and Out the Back" by Michael Meehan which is available to read in both The National Library and The Gilbert Library in Pearse Street. Michael has done a fantastic job of researching Franks life and activities before and after The Civil War. So I am concentrating on the information I have found for him. 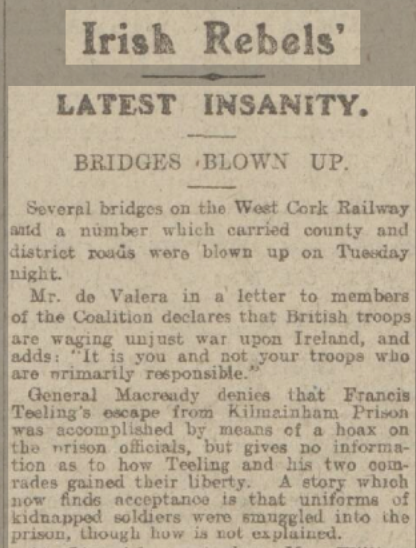 Irish Times 12 March 1921. Sentenced to Death by hanging. 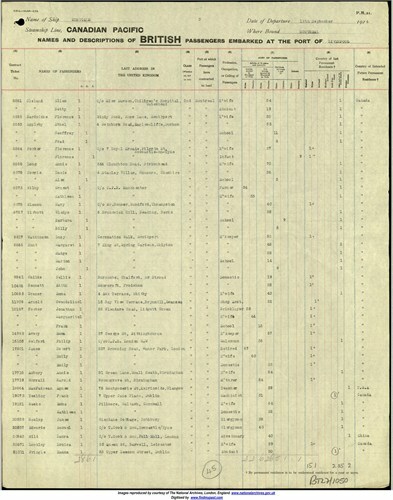 1922 Free State Army Military Census for Marlborough Hall in Glasnevin. 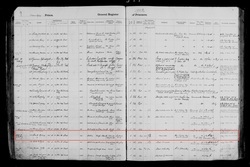 (click on image for close up) Marlborough Hall was a military convalescent home. The Met Eireann building is now on the site. 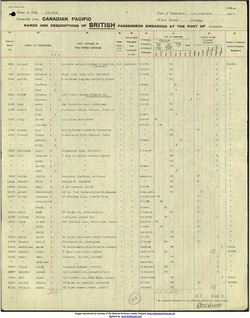 The killing of William Johnson at the Theater Royal 27th March 1923. 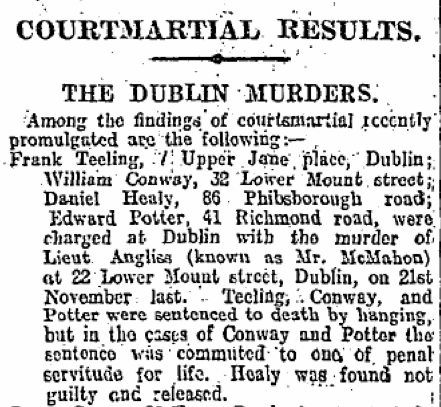 Exeter and Plymouth Gazette February 17, 1924. 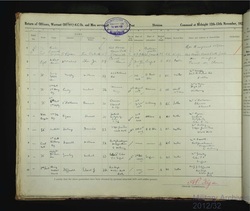 The register page from Mountjoy Prison in 1923 following his arrest for shooting and killing William Johnson at the Theatre Royal. The charge is Murder. 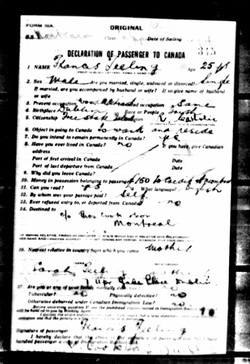 Canadian Passenger Decoration 19 September 1924. 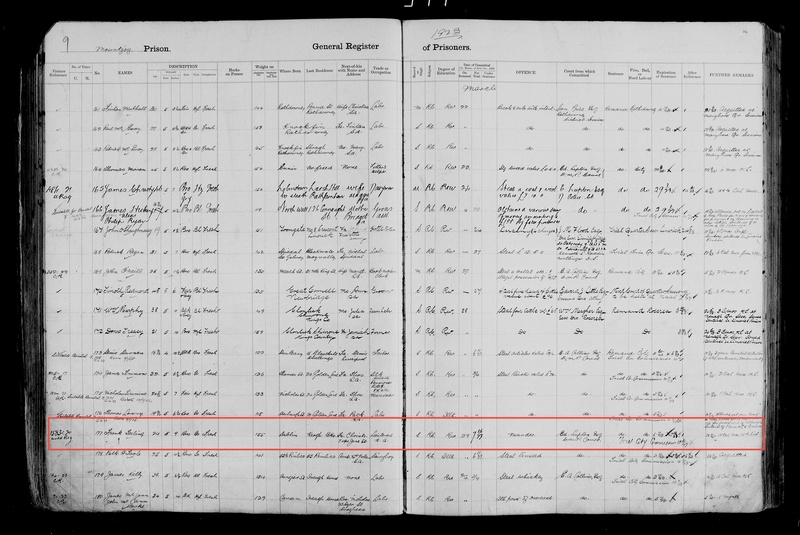 He sailed from Liverpool to Canada on the Montcalm. 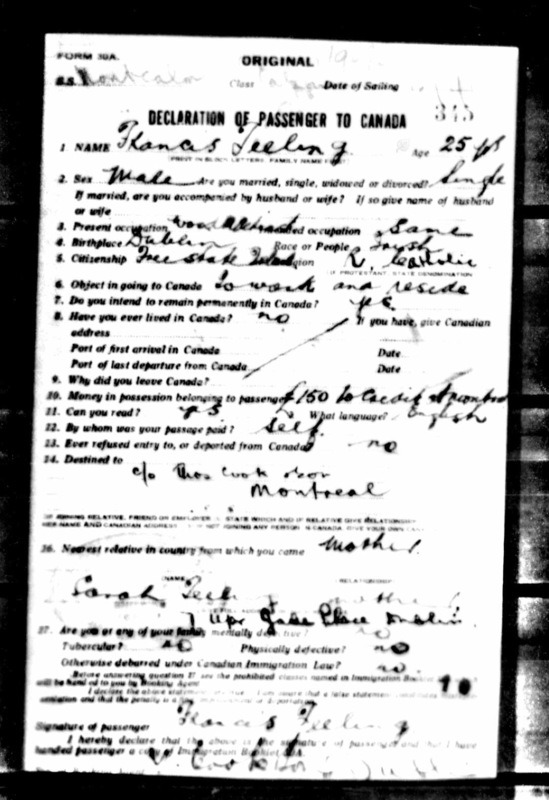 Passanger List from the Montcalm recording Frank's journey to Canada.